Hello, Student Speak readers! Another year of enjoying delicious local food begins! While the blog on Big Boy’s Burrito was to be my last—I could not give up the desire to blog, so I have returned for four more. This spotlight focuses on a new poutinerie that has opened up across the street from the north Oshawa location, called It’s All Gravy Poutinerie. 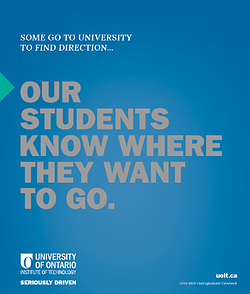 Located at 53 Conlin Road East, in the plaza with Campus Corners, beside the RBC. If you want to find this fine family-owned establishment, it is as easy as getting to the north location, and then walking across the street! 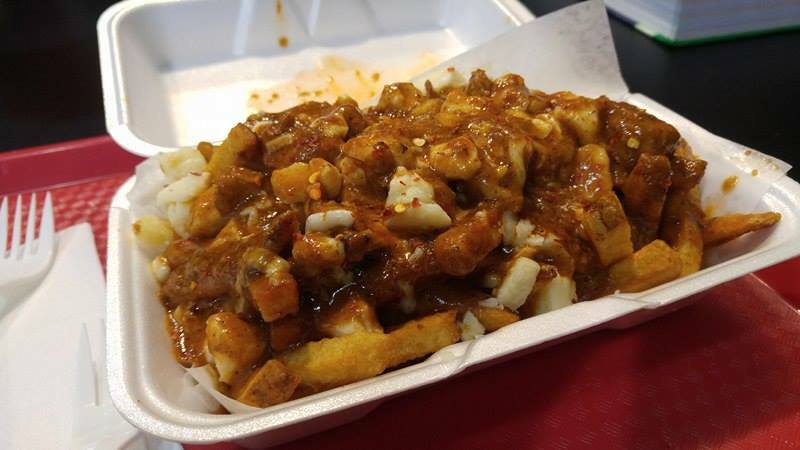 It’s All Gravy Poutinerie offers—like their namesake—a large variety of delicious poutines, all made with fresh ingredients and real cheese curds. They have all sorts of toppings from chili, to smoked meat, steak, jalapeno peppers, etc. Dress your poutine how you want! Keep in mind they also offer a daily special, with 20 per cent off the poutine of the day. Try a discount signature poutine on Monday, the butter chicken poutine at a deal on Wednesdays, or the pizza poutine on Saturdays… every day, a different deal! If you are not interested in poutine, they also offer Indian dishes like butter chicken wraps, biryani and curry. You can get a tandoori chicken plate, a chicken kebab wrap, or if you are feeling monstrous get a wrap and poutine combo… but before I get lost in the menu, I must detail the food! The first poutine I tried was the butter chicken poutine. I will be honest, while they recommended it to me, I did have my reservations because of how the butter chicken sauce would mix with gravy—I figured that it would not blend very well at all. But the sauces are not overloaded; they are put together in proper amounts that blended taste great. The chicken is decent, and cooked in the sauce it sits nicely on the poutine. The butter chicken sauce itself was well seasoned and had a good level of spice, coupled with the chicken and fries it was a quality combination. A large was $8.99, and I would order it again. The second poutine that I tried was the bacon poutine. Anyone who has read previous blogs of mine knows about my affinity for bacon, so I had to try how It’s All Gravy handled a bacon poutine. They use full bacon strips! 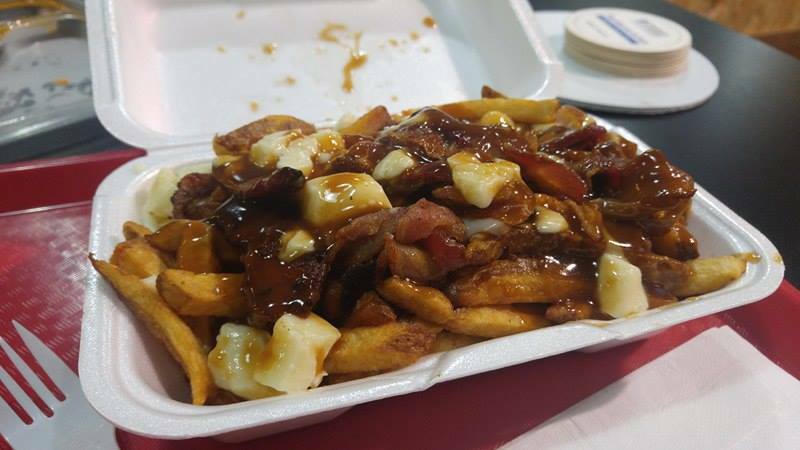 That in itself is awesome; normally it is some form of bacon bits, and to have the poutine lovingly loaded with strips is a wonderful sight. 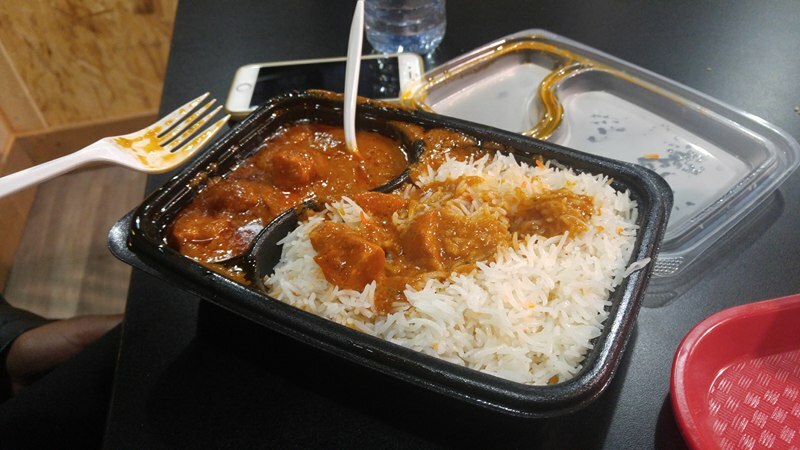 I visited with a friend who got the butter chicken and rice. I tried a little bit, and the butter chicken sauce mixes well with the rice, providing a mountain of fantastic taste. With that, I hope you get the opportunity to try a new local spot that delivers on having fine poutine alongside Indian dishes. If you give It’s All Gravy a chance, I can almost guarantee that you will not be left unsatisfied. 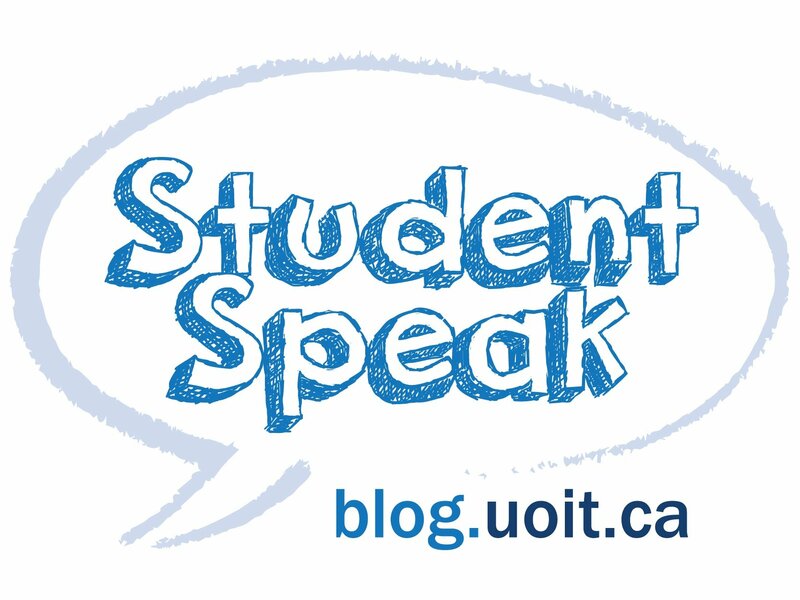 Until next time, Student Speak!